WASHINGTON: Pakistan engaged the World Bank on Monday for arbitration in settling its water dispute with India, which opened a run-of-the-river hydroelectric scheme earlier this week for harnessing the flow of the Neelum River. The World Bank and the four-member Pakistani delegation, which arrived in Washington on Sunday for the talks, are refusing to disclose the details of the talks on an issue which can have disastrous consequences for Pakistan, if not handled aptly. “The meetings are scheduled for today and tomorrow,” said a World Bank spokesperson Elena Karaban. “We can update you later as needed,” said she when asked for comments. The Pakistani delegation, which is led by Attorney General Ashtar Ausaf Ali, avoided the media as well. The talks would cover four key points: the height of the dam built on the Kishanganga River, its capacity to hold water, Pakistan’s demand for setting up a court of arbitration to settle the dispute and India’s counter-demand for an international expert. The document that would determine the outcome of Pakistan’s efforts to protect its rivers, however, is the Dec 20, 2013, decision of The Hague Court of Arbitration. The document, known as Final Award of the Court of Arbitration, tries to resolve the Kishanganga dispute under the guidelines of the 1960 Indus Waters Treaty (IWT), which defines how India and Pakistan should share the waters of the Indus and its tributaries. In the final award, which is binding upon the parties and is without appeal, the Court of Arbitration unanimously decided the question of the minimum flow that was left unresolved in the partial award announced in February 2013. The final award determined that India shall release a minimum flow of 9 cumec (cubic metre per second) into the Kishanganga/Neelum River below the Kishanganga Hydroelectric Project (KHEP) at all times. However, the Court also decided that either India or Pakistan may seek reconsideration of this decision through the Permanent Indus Commission and the mechanisms of the Indus Waters Treaty after a period of seven years from the first diversion of water from the Kishanganga/Neelum River. Pakistan instituted arbitral proceedings against India in 2010, requesting that a court of arbitration determine the permissibility of the KHEP under the treaty. The KHEP generates power by diverting water from a dam site on the Kishanganga/Neelum River to the Bonar Nallah, which, like Neelum, is another tributary of the Jhelum. India has built a system of tunnels, with the water powering turbines having a capacity of 330 megawatts. 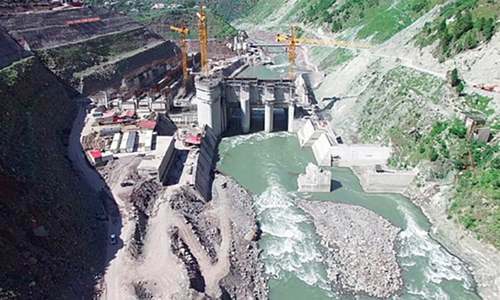 Pakistan challenged the permissibility of the planned diversion because of the effect that this would have on its Neelum-Jhelum Hydro-Electric Project (NJHEP), currently under construction downstream of the KHEP. In June and August 2013, both India and Pakistan provided data on the flow in the river at various locations along the Kishanganga/Neelum. The court noted that India had “coupled intent with action” in the planning and construction of the KHEP before Pakistan achieved the same with the NJHEP and that the KHEP had acquired priority in right as a result. The Court also recalled that in the Partial Award it had nevertheless found that Pakistan’s downstream agricultural and hydro-electric uses remain relevant on an ongoing basis throughout the operation of India’s hydro-electric plant. Both India and Pakistan presented extensive evidence to indicate the level and patterns of flow in the Kishanganga/Neelum River. The court examined the anticipated effects of the KHEP on downstream agriculture and hydro-electric uses by Pakistan and on the environment. The court noted that, although Pakistan had described plans to increase the use of lift irrigation in the Neelum Valley, “it had been unable to provide a quantitative estimate of the likely scale of such development”. In the absence of concrete evidence, the court “found it unable to take account of agricultural uses,” but noted that “the minimum flow ultimately adopted would ensure adequate water for development in the valley”. With respect to Pakistani hydro-electric uses, and in particular the NJHEP, the Court noted that “the diversion of water by the KHEP would have a direct effect and would somewhat reduce the downstream generation of hydro-electric power under almost any minimum flow regime”. The court observed that “Pakistan had provided … a holistic assessment of the interaction of a range of environmental indicators and attempted to capture the complexity of interactions within the river ecosystem”. In contrast, India “submitted a simpler assessment, drawing its conclusions from more limited data regarding the habitat for fish species”. While noting that there’s no single “correct” approach to environmental assessments, the court expressed the view that “Pakistan’s in- depth assessment, while not perfect was more appropriate for a project of the magnitude of the KHEP”. The court acknowledged, however, that Pakistan’s approach in these proceedings “does not match its own historical practices”. The court had provisionally concluded that taking exclusive account of environmental considerations would suggest an environmental flow of 12 cumec. The Court noted that below this level, the lowest flows recorded at the Line of Control increasingly become the norm during parts of the winter dry season. The court decided that, on the basis of the evidence currently available to it, India should have access to at least half of the average flow at the KHEP site during the driest months of the year. The court concluded that although customary international law requires the provision of a minimum flow, “the Indus Waters Treaty limits the use of customary law”. Examining the hydrological data, the Court concluded that “a flow of 9 cumec at the KHEP would be sufficient to maintain the natural flows throughout the dry months of December, January, and February, even in the driest winter of the 34-year flow data record presented by the parties”. Although the court considered this approach to be somewhat severe in environmental terms, it concluded that such an approach “represents an appropriate balance between the needs of the environment and India’s right to power generation”. Reviewing the effects of a 9 cumec minimum flow, the court noted that such a flow would accord India 51.9 per cent of the flow at the KHEP dam site during the month of January and a higher proportion in other months. This is probably third meeting. WB will stand by India. This meeting will achieve nothing. Please complete your Washington sightseeing and return. 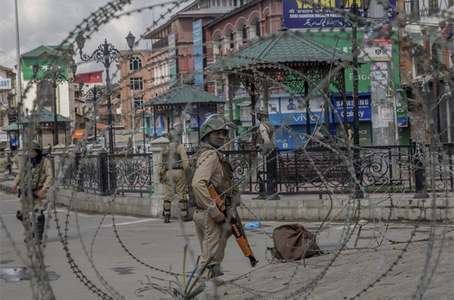 India has followed all norms but Pakistan failing to so on its side will favour India. @Chepu WB will open the case and tell India what it must do. Please do publish the outcome of the meeting. Wonderful piece of journalism by Dawn - crisp , neat , informative, impartial. Pakistan was alloted 80% share of water but till now it was recieving 89%. India is building capacity to use the remaining 9% of its share. Leaving vital national security issues to a third party is the wrong approach. The correct approach is to take the issue in our own hands: the government must order strikes on this dam. India has crossed a red line. A new 'Indus Water Treaty' can only settle river water dispute between Pakistan and India. @Zak daydreaming at its best. India releases min of 9 cusecs of water and meets the requirements of the arbitration. The review is possible only 7 years from now. Full stop. WB can’t do anything except ensuring this flow. Fair explanation of the situation and which confirms that this case was resolved ICJ many years ago and there is no more any case or arguments. India or Pakistan can go back on the volume of flow only after 7 years of first diversion. Not sure what Pakistan is trying to do at World Bank when ICJ decision was final. Pakistan should have moved quickly on their own development of a damn. See how terrible our government is! They are into making dams and reservoirs and we have hanged the Kala Bagh Dam issue since ages. Regionally, at least somebody is taking the benefit of the water and here we are to point fingers at them. We should learn from them instead and construct our own stalled dam projects before stalling their progress. If we don't want progress, why stop them? Probably the most detailed report I have read on the issue...on either side of the border.... Well done Dawn . What a detailed report.. hats of to Dawn to publish this. There not an iota of doubt tgat the WB will have to rule in favour of India.. India has completely abided by the treaty and Pakistan always had more tgat it's share . We can only get what he had lost due to incapable sham leaders, to our arch enemy by position of strength. Our corrupt self centered leaders, and bureaucrats are the joke of the town and any time they go begging to these world bodies they get kicked more and get more deeper in to pit. Even the coward of coward wakes up if push around. Unfortunately our ruling class has lost all self respect, dignity as they are remnants of our colonial past. Ground reality is that the next war will be fought on water issue. Pakistan should be more concerned about repercussions of climate change in future .. India is moving in that direction with reservoirs and dams. Many experts have suggested that both the countries together should build dams and reservoirs / storing facilities for agriculture. We should keep aside all other issues and work together at least on this matter.. when engineers and experts from both sides worked together so well to strike this unique Treaty of 80 :20 share and our leaders agreed. Never ever Modi has said that he will use more than 20% He cannot and will not !! It is water for agriculture and drinking Sir ! No one can dare to play with that. Treaty is in force dispute wars. Let us for first time work together for the farmers who are as important as the soldiers. @Shah The world has moved on from such acts. An attempt in futility. As they say in Washington, D.C., "almost dead on arrival." where is the dispute ? What is the use of taking the non technical high-ups when they cannot even read correctly the briefs, not to talk of convincing the world's top technical experts? The discharged water after power generation goes in the same river which in turn enters Pakistan downstream. Water is not being diverted. So the impact loss of water is between 5 to 10% which is well withing agreed treaty between India and Pakistan.